Some customers asked us how quickly we can do for PCB and PCB Assembly.Here,you will get the right answer. 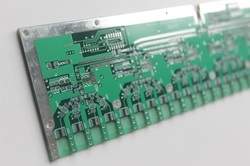 You can get 1-2 layer PCBs in 48 hours, and 4-6 layer 2-3 working days,8 layer 3-4 working days. All quick turn boards are also with top quality . We even did 16 layer PCB within 12 days. Submit your PCB specifications by emailing us your Gerber Files or by filling out the online PCB Quote form. There, you will attach your gerber files or design files and send via form to us .we are confident that we will be able to help you with your project. You can find our standard lead time and quick turn lead time as below. Once you try us,you will know how quickly we offer. 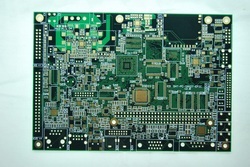 4 Layer PCB witH gold fingers,thickness 0.8mm. fastest service 4 days including shipping time (2 days). Quick turn USB project in 2 weeks.including PCB manufacturing,components sourcing and assemble. Quick Turn 4 layer with Rogers 4003C PCB manufacturing and assembly in 2 weeks. Quick Turn for MC PCB with Bergquist ，Matt Black solder mask 1.5mm in 1 week.